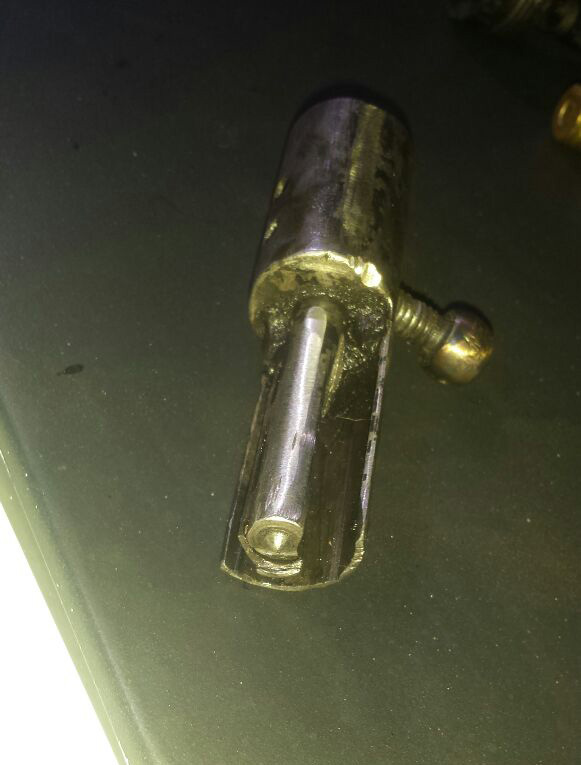 A crude .22lr single-shot firearm made from an air gun barrel and a cupboard hinge. 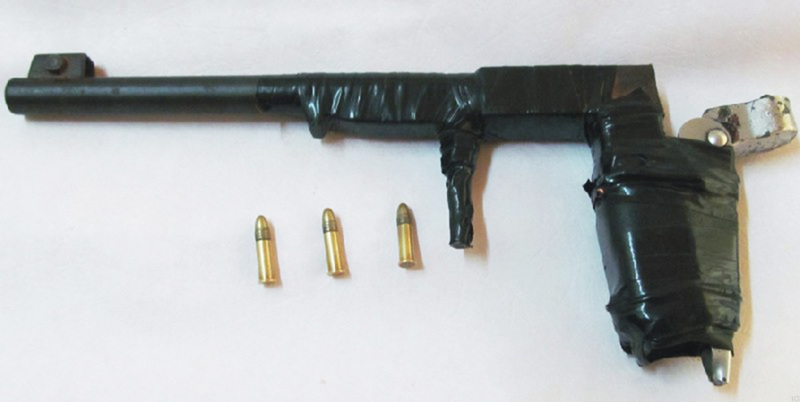 This entry was posted in Zip guns and improvised firearms and tagged .22lr pistol, craft produced small arms, criminology, DIY, firearm forensics, gun control, guns, homebuilt guns, homemade firearms, homemade gun, homemade guns, homemade pistols, impro guns, improvised, improvised firearms, improvised weapons, Not 3D printed, zip guns on February 26, 2017 by ImproGuns. 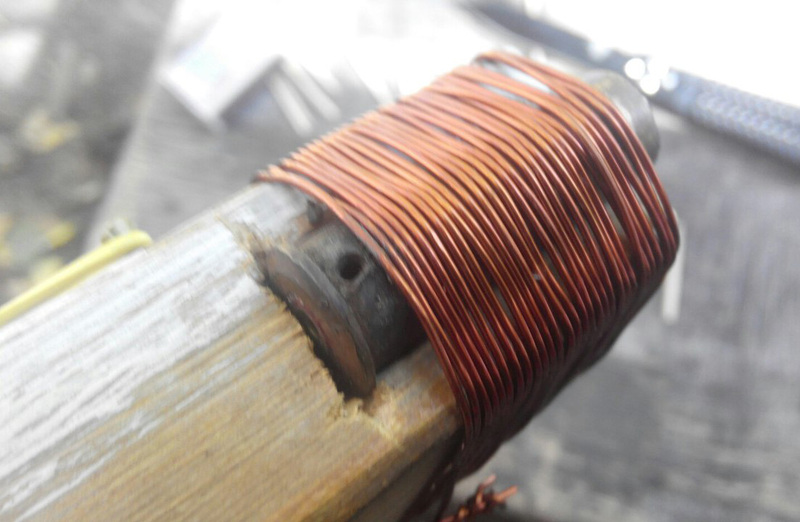 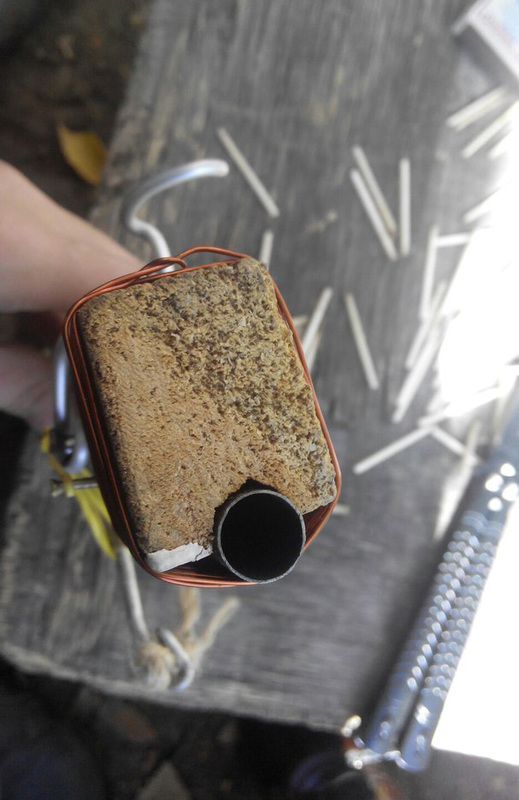 This entry was posted in Muzzleloaders, Zip guns and improvised firearms and tagged arquebus, Arts & Crafts, DIY, improvised firearm, improvised firearms, improvised weapons, matchlock, zip gun, zip guns on February 26, 2017 by ImproGuns. 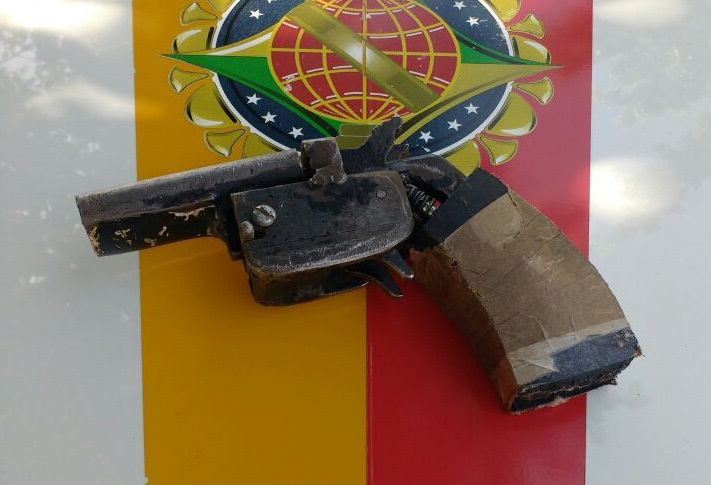 A .22 caliber double barrel pistol seized in Santa Maria. 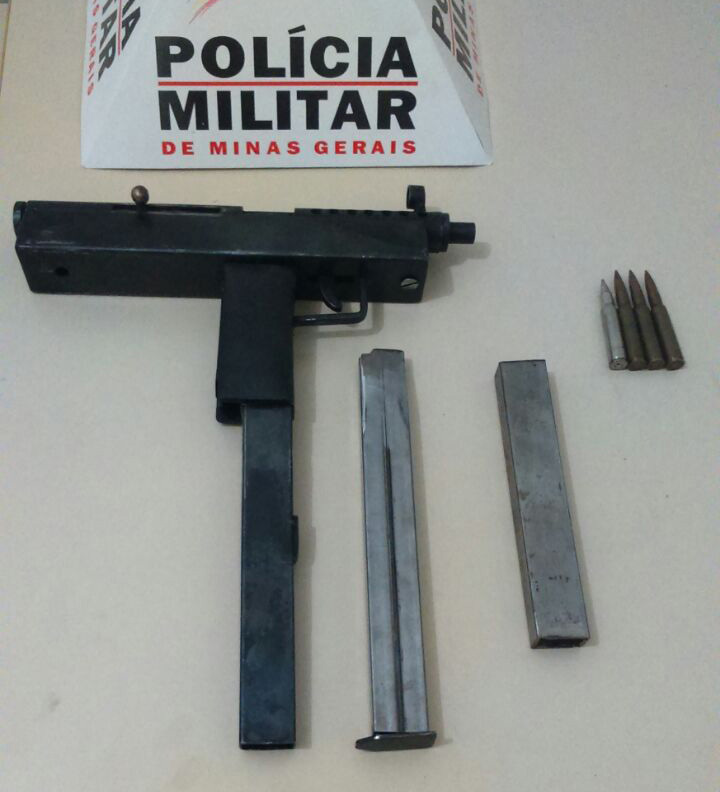 A homemade 9mm submachine gun seized from an illicit weapons workshop run by a locksmith in Minas Gerais, Brazil. 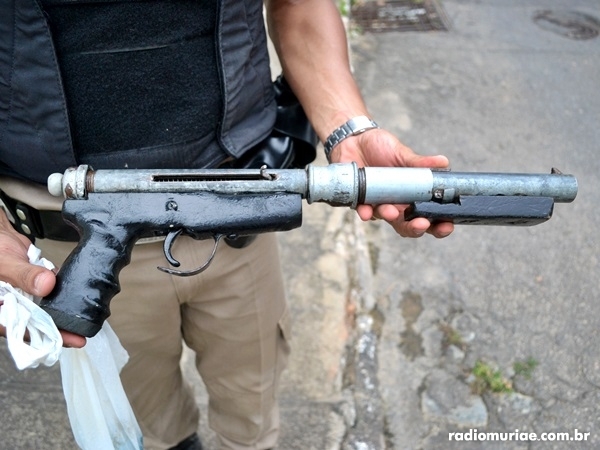 Unlike similar SMGs the bolt on this example does not wrap around the barrel and is crudely laminated from steel tube, having a large stud for a firing pin. 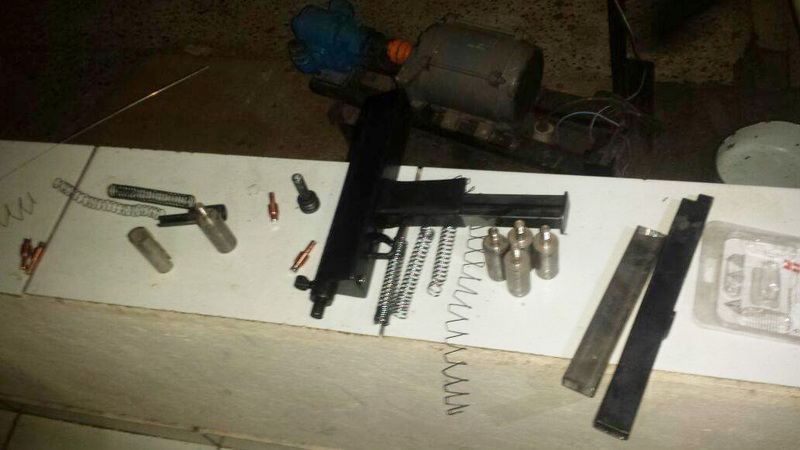 This entry was posted in Submachine guns and tagged Brazil, DIY, firearms, guns, homebuilt guns, homemade firearms, homemade guns, homemade SMG, homemade submachine gun, homemade submachine guns, homemade weapons, illegal firearms, improvised firearm on February 25, 2017 by ImproGuns. 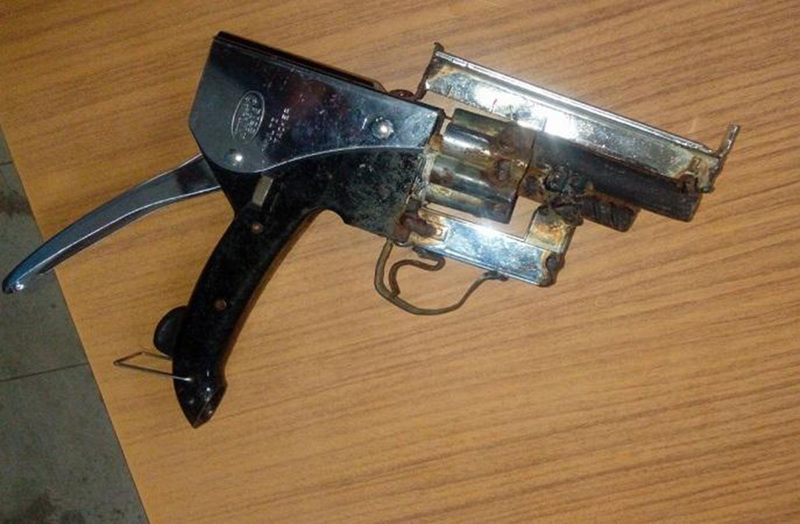 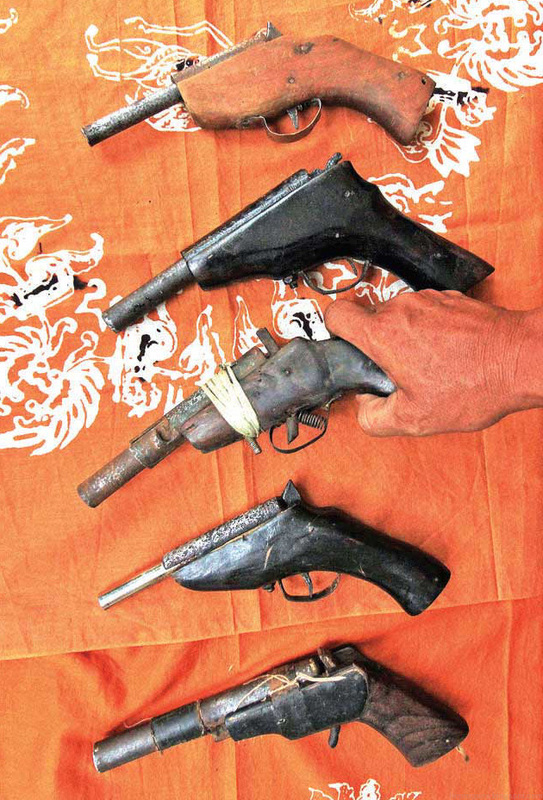 An improvised revolver seized after the arrest of several robbery suspects in Papua New Guinea. 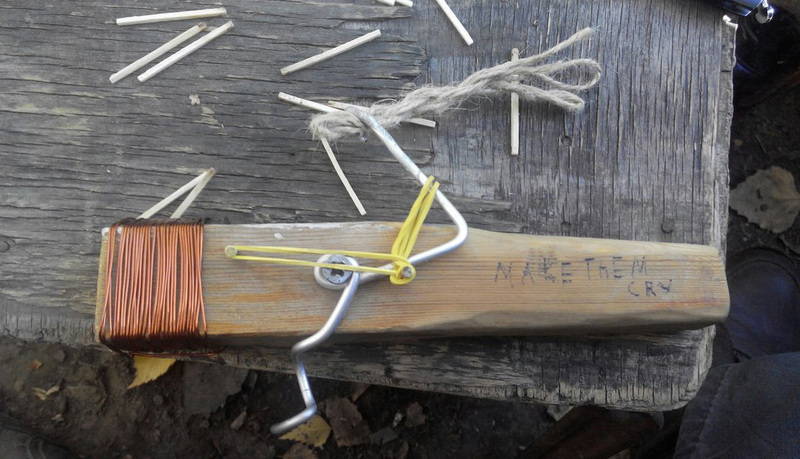 This entry was posted in Revolvers, Zip guns and improvised firearms and tagged DIY, firearms, gun control, guns, homebuilt guns, homemade firearms, homemade gun, homemade guns, homemade pistols, homemade revolver, homemade weapons, improvised weapons, Not 3D printed, pipe guns, stapler zip gun, zip gun, zip guns, zipgun on February 22, 2017 by ImproGuns.